Hotel group Accor has signed an agreement with the new owners of debt-ridden Ramada Jarvis that will see it extend its UK presence by another 24 Mercure-branded venues. The agreement has been reached with Royal Bank of Scotland (RBS)-backed consortium Jupiter Hotels, which was formed at the end of last week in order to buy out troubled Ramada Jarvis, a move that secured the jobs of around 2,000 staff. Accor’s deal with Jupiter will enable it to grow its share of the UK mid-scale market, adding 2,664 rooms to its portfolio and bringing its total to 68 Mercure-branded hotels. It is part of the group’s target to control a network of 300 hotels in the UK by 2015. The properties will be based in locations including London, Leeds, Manchester, Bristol, Brighton and Leicester. Jean-Jacques Dessors, Accor UK’s chief operating officer, said: "This major franchise agreement is a significant milestone for Accor in the realisation of our ambitious growth targets. 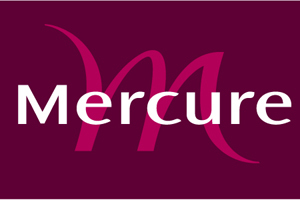 "This expansion further demonstrates our commitment to building the Mercure hotel brand in the UK, which is such an important market for Accor. We will continue to pursue further franchise growth opportunities this year and beyond." Jupiter Hotels was formed last week from a joint venture between RBS’s West Register property group and private equity firm Patron Capital. The partnership said it would inject £40m into the group. The takeover of safeguards the jobs of around 2,000 staff, although Jarvis’s board of directors will not transfer to Jupiter.